What Are Shoji Room Dividers? Shoji screens are covered in rice paper. Shoji room dividers are traditional Japanese floor screens used to divide a room. They might also be used to hide or accent certain aspects of a room. Generally speaking, they are made of bamboo and rice paper. Traditionally, they have either three or four rectangular panels. The rectangular screen has both vertical and horizontal bamboo parts to give it strength and support. The bamboo pieces around the edges of each screen of the Shoji room dividers are larger than the interior pieces, and the interior grid is made of a lighter weight piece of bamboo or wood. The bamboo or wood frame of a screen is hinged together to another screen to make a room divider. Once the bamboo frame is complete, it might be painted or stained. The color of the frame and grid adds to the decorative nature of the Shoji room dividers. Dividers might have one color on the exterior frame and a different color for the support grid within the screens. Some dividers are stained the same color across the entire grid of the screen. Rice paper is glued to the grid of the Shoji screen. The rice paper might be moistened during the application process to stretch it and make it taut against the screen’s grid. Some Shoji room dividers have a grid on both sides of the rice paper, and some may have rice paper on both sides of the bamboo grid. Once the rice paper is applied to the screen, it might be decorated. Traditionally, the rice paper for a screen has been painted with a Japanese motif. Some Shoji room dividers have decorative rice paper, similar to wallpaper, applied to the screen rather than adding the decoration after the paper is applied to the screen. 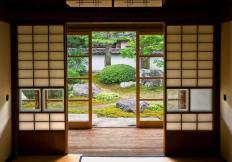 Shoji screens used for doors or other types of decoration are generally left plain. The strength and weight of the room divider is dependent upon a number of factors. A screen with a bamboo or wood grid on both sides is stronger and heavier than one with only one grid. A screen with a grid on one side might be considered more delicate and is lighter weight. A divider that is permanent will not need to be moved regularly, so its weight is not important. A divider that is lightweight may be easier to move more frequently. What is Japanese Interior Design? What is Asian Interior Design? What is a Shoji Screen? What are Different Types of Room Dividers? 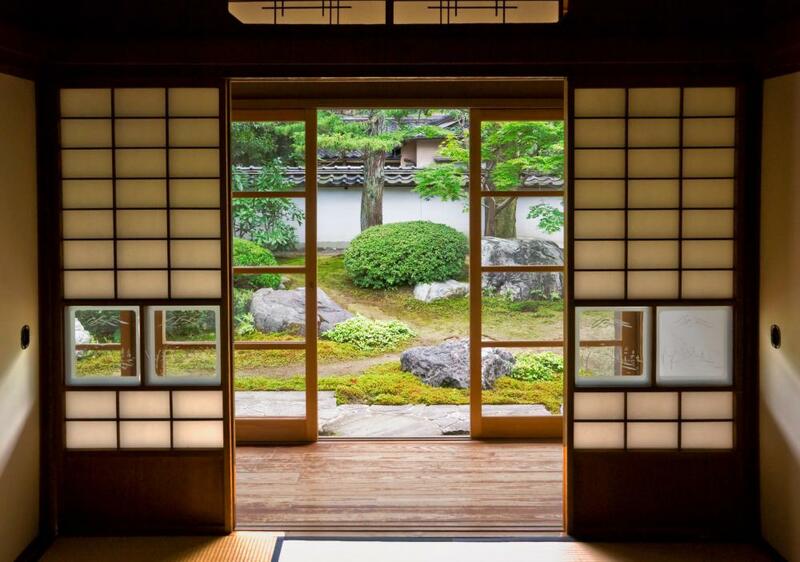 The term Shoji screen is not used so much now to describe many of the screens and room dividers in the west. I myself run a room divider / shoji screen website and find that we have one range we now call Shoji but in reality they are all Shoji screens, but this is to confusing to people. So for example we have one called a Matsu screen and one called a Fuji screen but in fact, they are all Shoji screens.